Synthetic blood mass-produced to meet supply shortages. 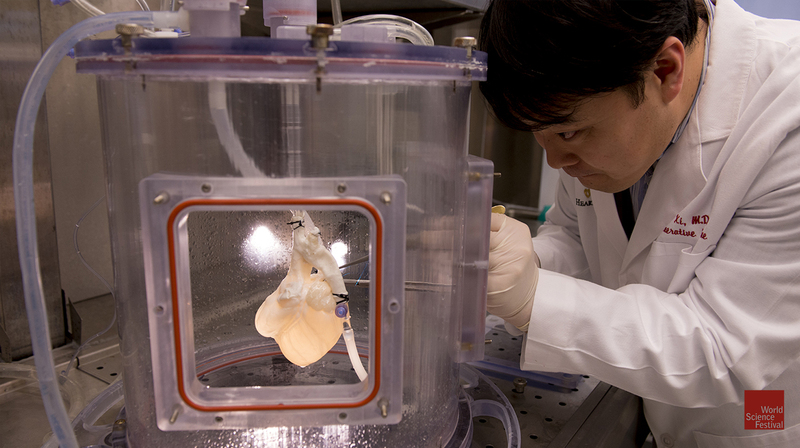 Livers and kidneys “bioprinted” on demand. Missing fingers and toes re-grown with a jolt of bioelectricity. Regenerative medicine promises to do more than just treat disease, injuries, or congenital conditions. 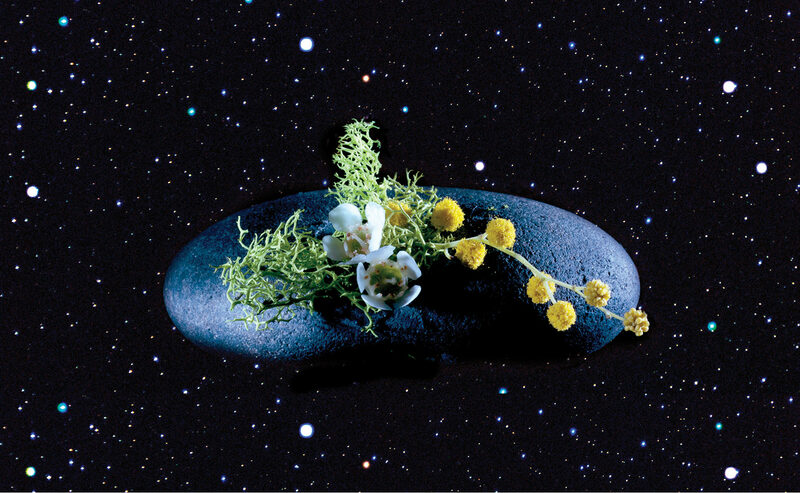 It holds the potential to rejuvenate, heal, or completely replace damaged tissue and organs. If successful, regenerative medicine will have immense impact on how we care for the injured, sick, and aging — and how we think about death. 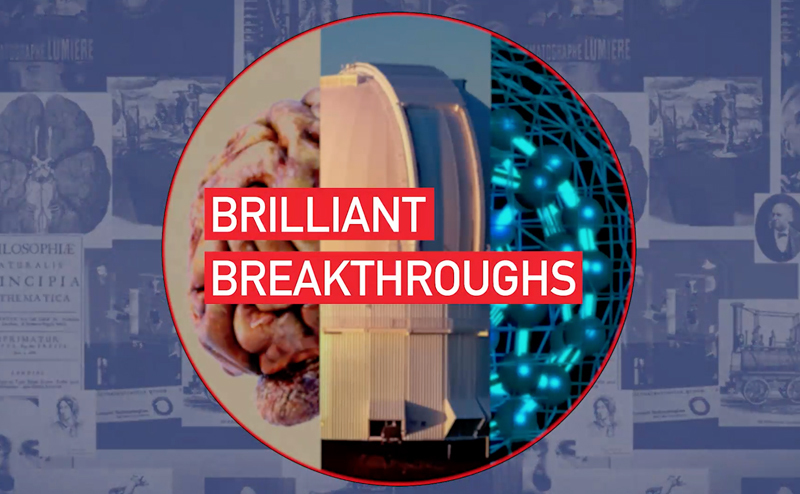 This program will explore mind-boggling medical advances as well as the societal and economic implications of a future in which everybody may truly be forever young. Narrator: NO ONE IS IMMUNE FROM THE RAVAGES OF TIME. THE DETRIMENTAL EFFECTS OF AGING ARE INEVITABLE, RIGHT? BUT WHAT IF WE COULD TURN BACK THE CLOCK AND REPLACE WORN OUT OR DAMAGED BODY PARTS WITH COMPLETELY NEW ONES? 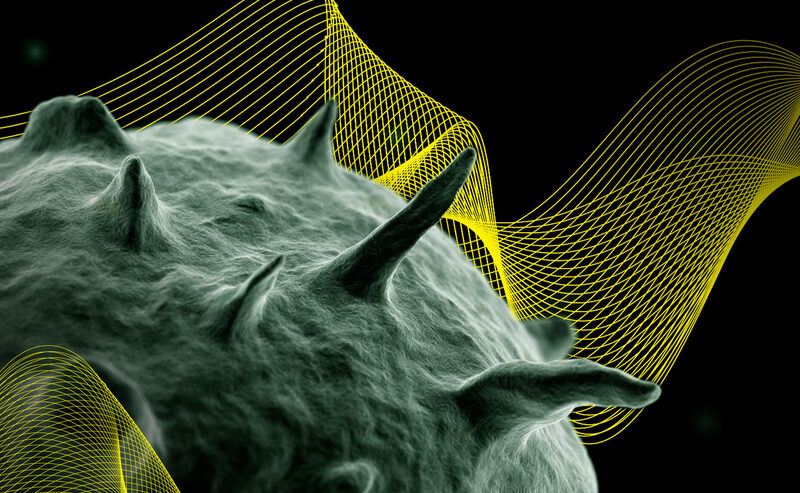 IT MAY SOUND LIKE SCIENCE FICTION, BUT RESEARCHERS STUDYING CELL GROWTH ARE CURRENTLY WORKING TO MAKE IT SCIENCE FACT. IMAGINE A FUTURE WHERE NO ONE WAITS ON AN ORGAN TRANSPLANT LIST. IF YOUR KIDNEY FAILED, YOU COULD HAVE A REPLACEMENT MADE-TO ORDER IN A LAB. 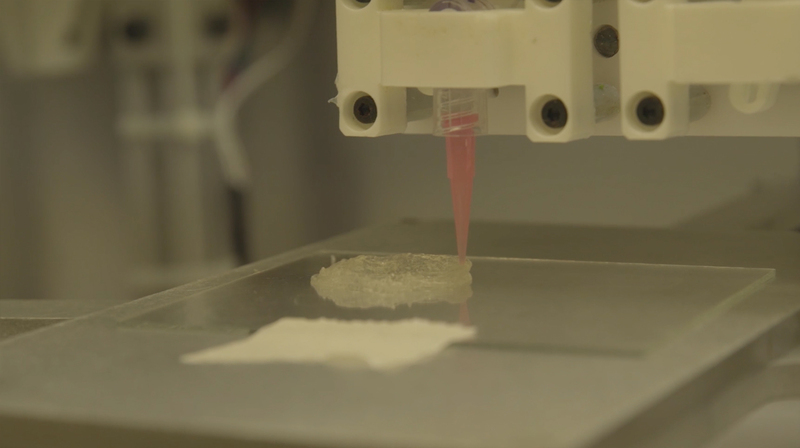 USING YOUR OWN CELLS, TECHNICIANS COULD BUILD A NEW KIDNEY USING A 3D PRINTER. AND WITH THIS PRINTED ORGAN, YOU’D QUICKLY GET BACK TO A PRODUCTIVE LIFE. IMAGINE A FUTURE WHERE IF YOU’RE DISFIGURED IN AN UNFORTUNATE ACCIDENT, A PILL COULD CHANGE THE ELECTRICAL CHARGE AT THE SITE OF THE INJURY CAUSING YOUR TOES TO REGENERATE. IN THE FUTURE, IF YOU SUFFER FROM HEART FAILURE, A NEW ORGAN COULD BE GROWN ON A CADAVER HEART SCAFFOLD USING YOUR OWN STEM CELLS. AND WITH THIS NEW HEART, YOU COULD GET BACK TO RUNNING. WHILE THESE THREE FUTURISTIC TREATMENTS ARE ONLY IN THE EXPERIMENTAL STAGE, THERE IS ONE SCIENCE-FICTION SOUNDING THERAPY THAT IS ALREADY BEING USED ON HUMANS. TAKE THE CASE OF MARINE SGT. BRIAN SMITH WHO WAS INJURED WHILE LEADING HIS SQUAD DOWN ONE OF THE MOST TREACHEROUS ROADS IN FALLUJAH, IRAQ. SMITH: I was on a mission to get my squad familiar to the new area of operation that we were in. That entailed traveling down IED Alley. SMITH’S HUMVEE STRUCK AN I-E-D OR IMPROVISED EXPLOSIVE DEVICE. SMITH: We were just traveling and all of a sudden we got hit, and I believe I went out for a second. A PIECE OF SHRAPNEL SLICED THROUGH THE TRICEP AND BICEP OF HIS RIGHT ARM, SEVERING A MAJOR ARTERY AND LEAVING HIS MUSCLES IN TATTERS. SMITH: I realized I couldn’t move my right arm. At first I thought it was gone, but I could feel that it was still there, and I could feel the blood—my blood from my artery pumping into my hand as I reached over. SGT SMITH WAS AIRLIFTED TO GERMANY FOR TREATMENT. BACK IN THE U.S,, REHABILITATION OF HIS ARM LEFT HIM WEAK, UNABLE TO ASSIST WITH THE CARE OF HIS 9 MONTH OLD SON. SMITH: He was go, go, go, go. One of the issues is trying to care for him. I couldn’t pick him up if he was squirming because I only had one hand. I couldn’t change him because you want one hand to try to keep the kid still. BRIAN COMPENSATED FOR THE WEAKNESS BY USING THE STRENGTH IN HIS BACK. TWO YEARS LATER HE WAS ABLE TO JOIN THE BANGOR POLICE FORCE. BUT THAT WEAKNESS IN HIS ARM WAS ALWAYS ON HIS MIND. SMITH: My concerns about my arm was anything that required pulling. You’re trying to take somebody into custody, sometimes you have to pry their arm out. I would have to do it with my right hand but I knew I was now significantly weaker in that hand versus my left hand. BRIAN HEARD ABOUT AN EXPERIMENTAL PROCEDURE AT THE UNIVERSITY OF PITTSBURGH THAT USES AN EXTRACELLULAR MATRIX TO REGROW DAMAGED MUSCLE TISSUE.A YEAR AFTER TREATMENT IN 2013, THINGS WERE REMARKABLY DIFFERENT WITH HIS ARM. SMITH: The big thing is I was able to hold my child in my right arm longer than I ever have. BRIAN HAD LOST ONE-THIRD OF HIS BICEP. WITH E.C.M. HE WAS ABLE TO REGROW ALMOST ALL OF THE MISSING MUSCLE TISSUE. SMITH: Today my arm feels great. My endurance is there, that was the big thing for me. NOW BRIAN CAN DO HIS JOB WITH COMPLETE CONFIDENCE AND BE THE HANDS-ON FATHER HE WANTED TO BE. EMILY SENAY, PHYSICIAN/JOURNALIST: Good evening. Welcome to our program. Thank you for coming. 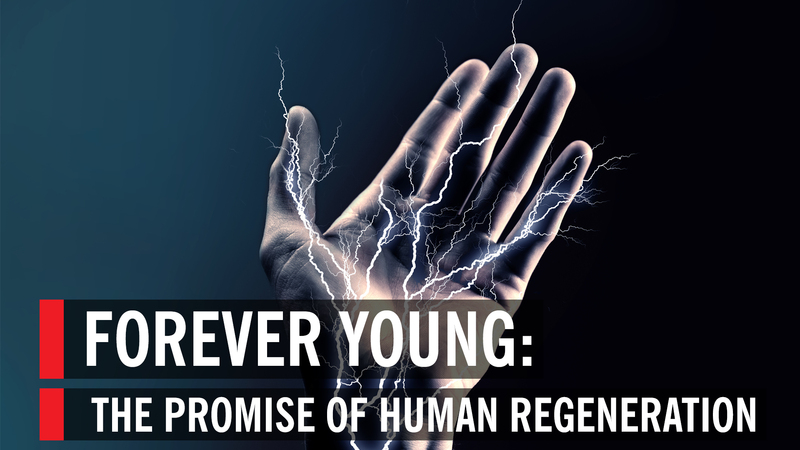 Being forever young the future and the promise of human regeneration. So without further ado, let’s meet our scientist beginning with the director of regenerative medicine research and director center for cell and organ biotechnology at the Texas Heart Institute in Houston. She also holds faculty appointments at Texas A&M and Rice University. Please welcome Doris Taylor. Our next guest is a professor in the department of surgery and the deputy director of the McGowan Institute for regenerative medicine at the University of Pittsburgh. 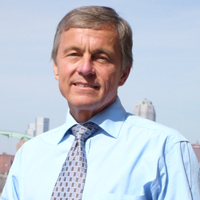 Dr. Badylak is a past president of the Tissue Engineering Regenerative Medicine International Society. Please welcome Stephen Badylak. 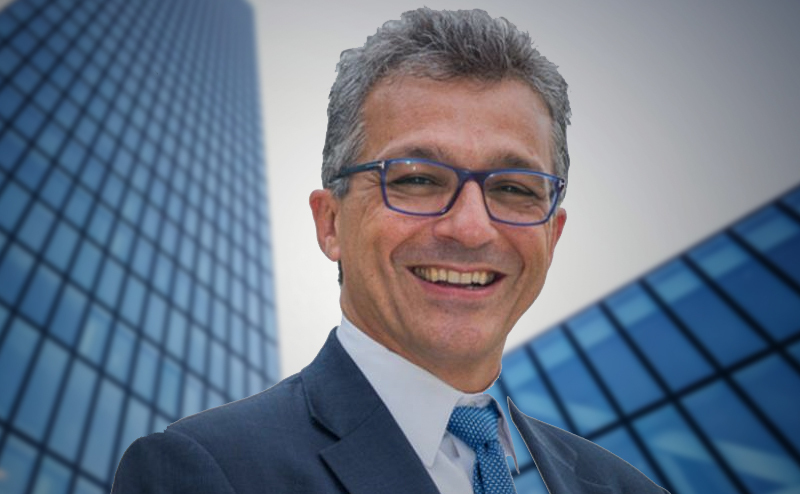 [00:04:47] SENAY: Also joining us is the principal investigator in the Tufts Center for Regenerative and Developmental Biology and research professor in the department of Biology at Tufts University. 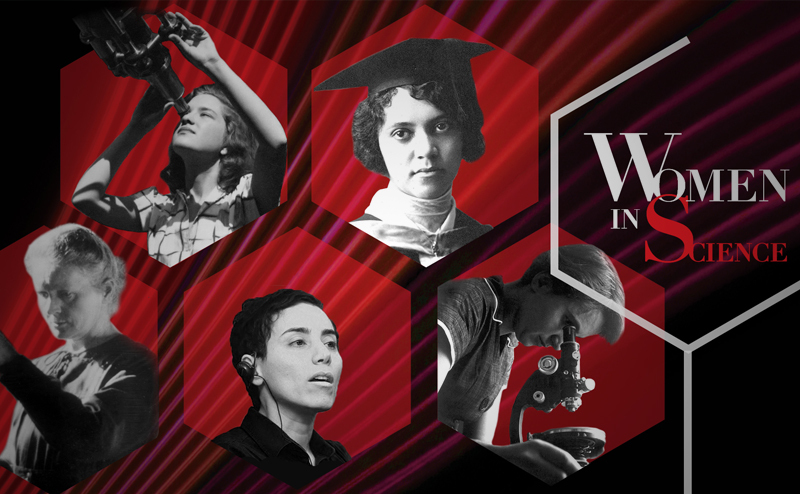 She is also faculty in the EBICS Program at MIT and a member of the Allen Discovery Center at Tufts. Please welcome Dany Spencer Adams. 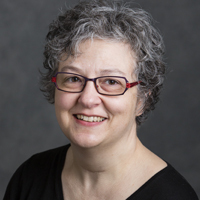 Our final guest is an associate professor and associate director of the Nancy E. and Peter C. Meinig School of Biomedical Engineering at Cornell University in beautiful Ithaca. He has been recognized with awards given by the Society for Heart Valve Disease and the Biomedical Engineering Society. Please welcome Jonathan Butcher. Welcome. So we want to start tonight’s conversation by asking each of you, beginning with Dany, just to give a little bit of a primer if you will of just exactly what you are working on. DANY SPENCER ADAMS, DEVELOPMENTAL BIOLOGIST: Well actually I came to study regeneration through studying generation. And I believe you’re about to see a movie I made showing the generation of a face in a frog embryo. So there you’re looking at a frog embryo right now. And that bright spot coming up over the horizon that is actually the central nervous system forming and you’re going to see spots that are making where the face is going to be. And what those spots are is a dye that is showing us where the cells are more negative on the inside than they are on the outside. So it’s an electrical characteristic of the cells. And what we’ve found by studying these development processes is these electrical signals help the embryo know where to put things and very importantly, how to shape things. And that turns out to be a very important aspect of regeneration which is how do you get the proper shape for function. SENAY: And shape turns out to be important. We’re going to come back to that. Stephen, how did you actually come to grow muscle tissue? Tell us about that. STEPHEN BADYLAK, PHYSICIAN SCIENTIST: Our approach is a little different to regenerative medicine as you saw in Sargent Smith there. Our intent is to provide the environment that the body normally uses to send signals to say ok stem cells come on over here and form this particular type of tissue or these cells should proliferate. In other words, it’s sort of like the movie “build it and they will come.” What we want to do is provide the micro-environment called the extracellular matrix and then let the body do the rest of the work. So it’s a little different approach but it seems to be working. SENAY: Doris, you have a different approach altogether.Tell us about that. DORIS TAYLOR, REGENERATIVE SCIENTIST: Well, heart disease is the number one killer of men, women and children so what we’ve done for the last 20 years is work on ways to repair the damage to the heart. And we started with genes. But what we realized is that you have to get lucky and pick the right genes. And that cells were little gene factories so we moved to cells. But if you going to put a cell in the heart just like Steve said, it needs the right environment.And so it’s probably true that we’re never going to get enough cells to take a fully damaged, leathery skinned scar and make it into a healthy heart again. So what we said is, wow we need an environment. Let’s take a heart. Let’s give nature the tools and get out of the way. So today I work on building a heart in the lab by taking stem cells and putting them in what we call a ghost heart.A heart where we have already stripped all of the cells to let nature provide those cues to rebuild the heart. SENAY: Amazing, amazing. Jonathan, even more amazing or equally as amazing is printing a heart valve. 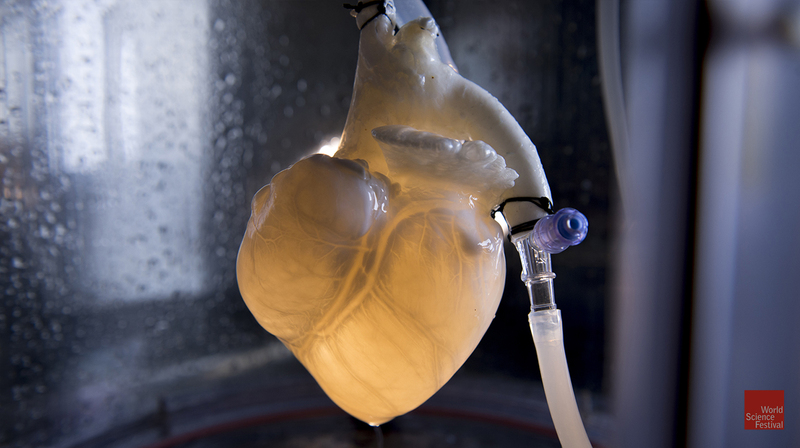 How does one begin to even thinking about printing a heart valve? JONATHAN BUTCHER, BIOMEDICAL ENGINEER: So I think I came into this approach as a traditional mechanical engineer. Like Dany, I heard a lecture on developmental biology of the heart. And this biologist proceeded to describe how the heart forms inside of a week in this animal and here I am trying to engineer something to change the protein in months. And so clearly there was so much natural engineering that was going on that we didn’t understand and so I shifted training in to developmental biology and now in my current lab, we combine both of those sets of tools to be able to try to bio-fabricate these organs. SENAY: Well let’s get to the idea of how you are actually doing this and what this stuff actually looks like. So Doris take us through the how to make a heart, if you will. [00:09:48] TAYLOR: Well, (SENAY: and you can do this at home as I understand it. It’s available online?) that’s right, that’s right. There are blogs about how to do this online. And I think that illustrates an amazing point that people really want to understand the science of this and the biology of this and there’s such an unmet need. I had a high school kid call me last week and say our family’s barbecuing a pig in the yard and my family gave me the heart and it’s in the refrigerator. What do I do? I told her. So what do you do? Well, if you’re going to build a heart, you need cells, but beating cells right here in a dish are not enough to make a heart. You need a place to put those cells. You need a framework or a scaffold. So what we did is we took a heart, a pig heart or a human heart, we now work routinely with human hearts. And we wash the cells out. We use baby shampoo, literally, to wash the cells out of the heart and you can see here on the video, a pig’s heart in this case, with no cells. SENAY: Is that collagen? What is it? TAYLOR: It’s the extracellular matrix, proteins. If you touch it, it feels a little like a jello wiggler. And for those of you who aren’t old enough to know what a jello wiggler is, it’s dehydrated jello. It’s pretty tough. But we can then put cells back into that heart. TAYLOR: And when we put cells back in what’s so amazing is you put a blood vessel cell in and it goes to the blood vessel. You put a heart muscle cell in and it goes to the muscle. We call it our smart heart. It knows what to do. 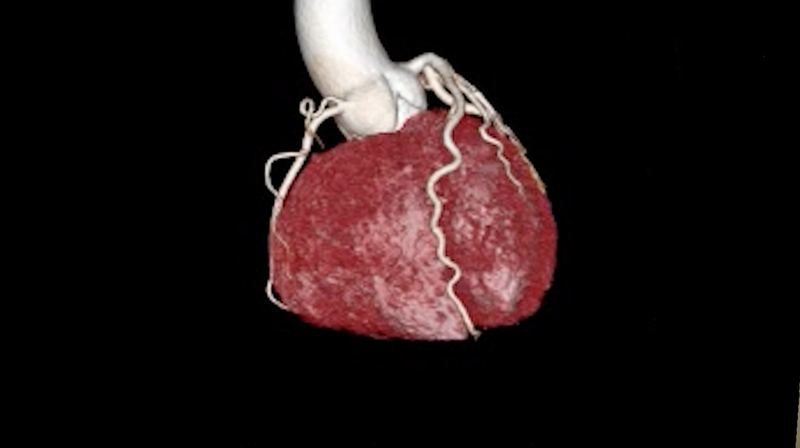 Here you see a heart where we put cells back in and it’s pink now because it’s beginning to be more muscle and it’s moving because you can’t just put a stem cell in a heart and let it sit there. It has to act like a heart, look like a heart, and work like a heart. SENAY: For the cells to know what to do. TAYLOR: To grow up and become a heart. So it has to have a blood pressure. It has to have lungs and oxygen. 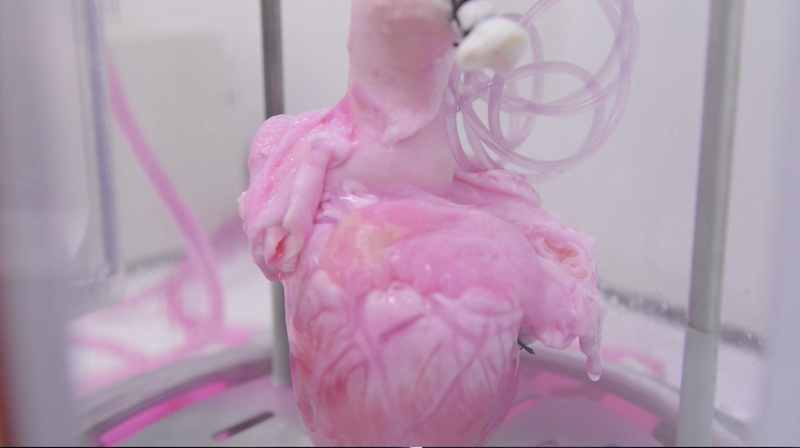 This is a human heart in one of our bioreactors. So a bioreactor is basically an artificial body. It’s got blood. It’s got oxygen. It’s got temperature. And it’s got an immune system. You see here the plastic container, that’s the bioreactor. Keeps it sterile. Keeps it warm. Food, clothing, shelter, everything that you need to build a heart. So we put stem cells back in and they mature over time if we give them the right cues. It’s pretty remarkable. And you can do it with anything, heart, liver, kidney, lung, pancreas. SENAY: Unbelievable. Stephen, tell us your story. How are you doing- what are you doing to get muscle? BADYLAK: What we do is start with the matrix. SENAY: Again with the matrix. BADYLAK: Back to the matrix, that’s right. You can isolate every tissue in the body of every person in this audience has extracellular matrix around the cells.That’s the scaffolding material. And in this video what you see is, that’s Scott in my lab. That’s a pig bladder.You go to the slaughterhouse and pick up and instead of them being a byproduct of the agriculture industry, it would have been fertilizer or food or something else if we didn’t pick them up. And we take away the muscle layers and we’re left with only the layers that we want. And so that’s that thin layer that Scott was holding up there. And then we take out all of the cells and what you’re left with is this friendly, inductive material. In Doris’s case it was a 3 dimensional heart. In our case it’s this simple sheet of material that we can keep as a sheet. We could turn it into a hydro gel.We can turn it into a liquid. 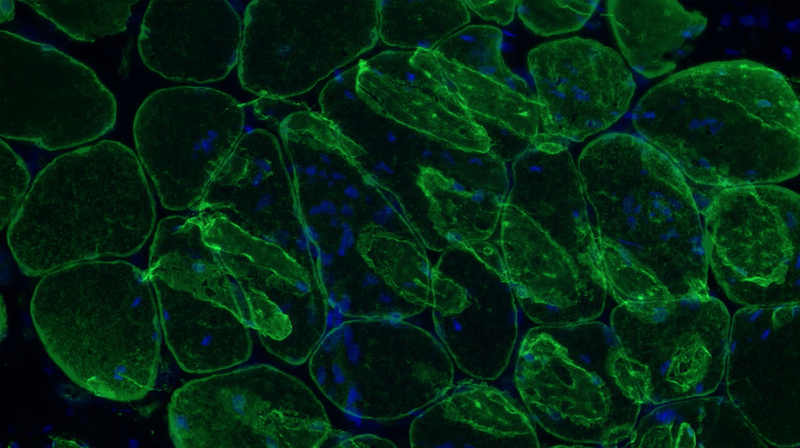 And you’re looking at muscle cells there that were formed, in it wasn’t Sargent Smith’s but one of our other patients in a recent study where we treated 13 patients like Sargent Smith, all of whom returned to a quality of life where they can do the activities of daily living like he did. Basically what we do is change the default-this material has the ability to signal the body to say look instead of responding to this injury by forming scar, what we want to do is recruit the body’s own cells to it and have them assemble, as Doris was saying, the way they would normally and recreate the tissue rather than just repair the tissue. So it’s a little different approach and like I said, none of us have the solutions to all of the problems but we all get there a little different way. [00:15:00] SENAY: Absolutely. Unbelievable.Dany, you’re using electricity. Is that fair to say? To make… That sounds Frankensteinian. ADAMS: It’s very Frankensteinian. I love the analogy. The idea is that by studying these electrical signals during development and seeing that they can be the signals that says, ok you be a muscle cell, these cells start dividing, those cells stop dividing, that this is one of the ways that cells talk to each other. So chemicals is one important way. But electricity is another important way. It’s just the movement of ions. So everybody has heard of pH, which is just a fancy way of saying a concentration of hydrogen ions. And hydrogen ions moving, that’s a current, that’s electricity. And we found that there are so many places in development of the embryo where those electrical signals seem to be…I hesitate to use the term, but master switches. They really do seem to be like you flip a switch and then a process gets started. And very importantly, it doesn’t just get started, it gets controlled. And it gets stopped at the right time. So we say, ok will this work in regeneration as well? And have found that yes, again in that situation these very, very powerful signals that coordinate. They take care of everything. What you’re seeing here actually is one of the really important stages in vertebrates, things with backbones. 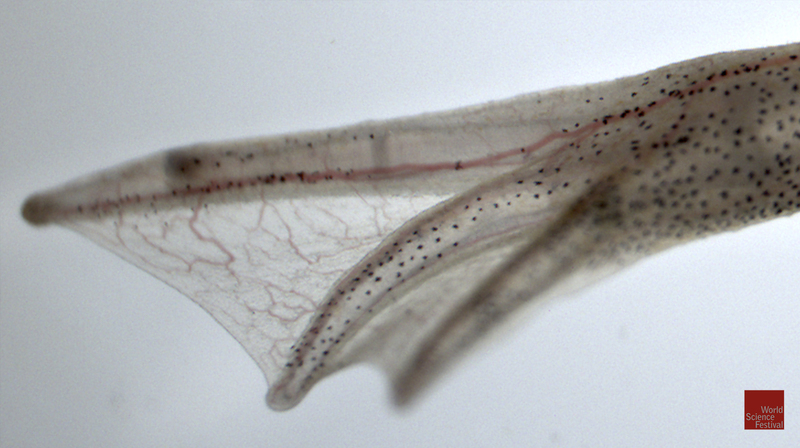 In regenerations of vertebrates is that you have to have nerves there for the rest of the structure to regenerate. And what you’re looking at here is a lot of nerves that have grown in places that they don’t necessarily belong. 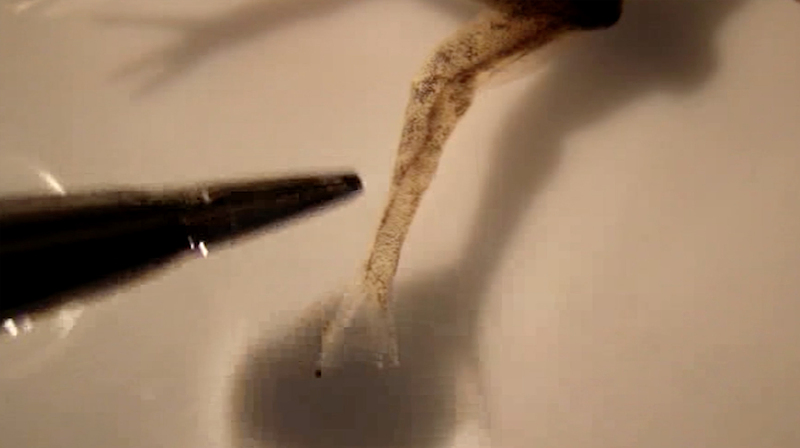 That’s a close-up of a fin of a tadpole, of a frog. This is work by Dr. Douglas Blackiston and what he did to get that to happen was he simply soaked the embryo, sorry, soaked the tadpole in serotonin so the neurotransmitter. And what happens through a chemical signal pathway is the serotonin makes the cells in that fin be a little bit more positive than they would normally be and that attracts the nerves. And so a place with no nerves suddenly has this huge invasion by all these nerves. He’s actually done some truly remarkable work where he has a combination of transplant but then looking at what happens to the nerves. 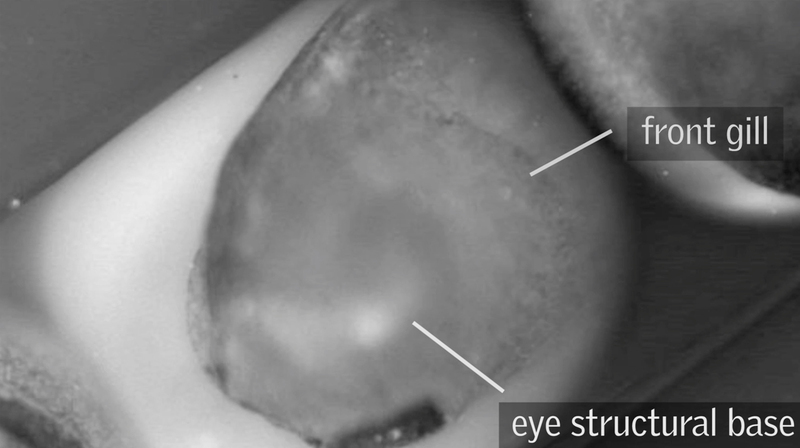 He puts a piece of tissue that would be an eye and he puts it into the flank of another embryo. So puts it in the wrong place. And he uses an eye because that will then send out a large nerve, the optic nerve. And sometimes that optic nerve actually finds its way to the spinal cord and that eye can sense light, it can see. So the brain somehow knows that its visual information even though it’s coming from all the wrong place. But again it’s this idea of being able to control and use those electoral signals to get what we need to happen. In this case for nerves to grow and in other cases, for entire limbs to reproduce themselves. SENAY: Show us what that’s about. ADAMS: So what you’re looking at here is the back end of a frog and if a frog loses a limb, what you see here is the left hand side, that’s a completely regenerated limb. That was amputated up close to the knee there and normally if that happens, you get what is called a spike and it’s exactly what it sounds like, it’s a spike. But this was treated, this is the work of Dr. Ai Sun Tseng, who when she was working with Mike Levin, and she treated that wound with a little cocktail and that cocktail did the same thing. It made the cells change their electrical characteristics. And 6 months later, this grew back. So instead of getting a spike, she got a foot. And this is a foot, you can see it’s got the blood vessels, it’s got skin, it’s got muscles, it’s got bone and very importantly it has nerves. And it’s also the right shape. And what you’re seeing her is she’s just poking that to show you that it’s quite responsive, it has a very well formed and functional nervous system. So this incredibly simple message months ago which was, change your electrical potential and this entire limb has grown back and it’s the right shape and it stops when it’s done. SENAY: So give us the, Jonathan, the how to print a heart valve for dummies, if you will. SENAY: So that’s what that is? BUTCHER: Yeah, so that’s a human, it’s an aortic heart valve, a tri leaflet heart valve that we’ve manufactured and you can see a couple different sizes that we make here because one of the major clinical needs for this type of technology is actually the pediatric populations. In particular for a scaffold, for a graft like this that has the living capacity to grow and so you can’t really use a prosthetic for that. So there’s really nothing other that this kind of opportunity to go so that’s why we’re pushing this envelope. SENAY: OK, so one of the things I think we have to talk about is the elephant in the room, which is genetics and genomics. (laughter) That’s an inside joke. There is a paradigm shift here because you guys aren’t doing anything with genes. You’re using, you’re coming at it from a completely different angle. 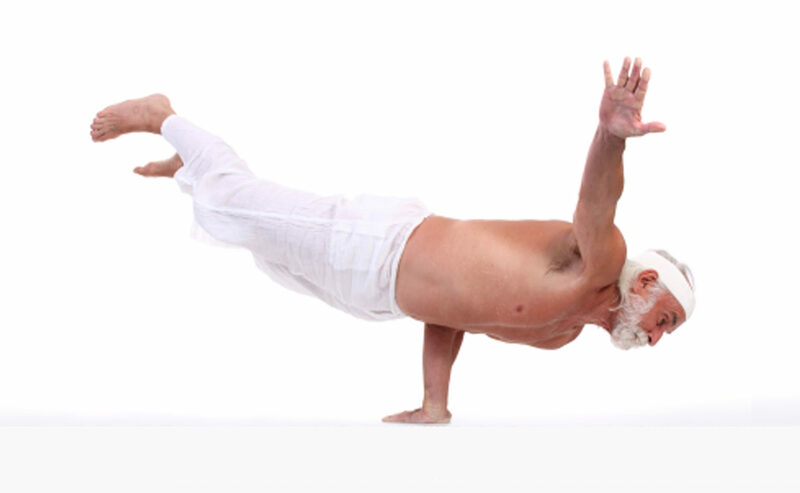 Tell me about the paradigm shift and how it happened and what it means. TAYLOR: Well to me, genes as I said earlier if you’re going to work with genes, you have to have the right gene and you have to have a cell for that gene to work. Genes don’t happen in a vacuum, they only work in a cell. So we said we can spend the rest of our lives trying to pick the right gene, figure out the right gene or we can take cells which are little genes factories and let nature drive which genes by providing the right environment for those genes for those cells, whether it’s a chemical, a scaffold or whatever. Genes are the potential. Cells are the reality. TAYLOR: It’s all inflammation, Steve. BADYLAK: I’m even sorry that word exists because it implies a negative connotation and without inflammation, you know none of us would be here. TAYLOR: Inflammation is nature’s cue to say, I’ve got an injury. Send me cells. BADYLAK: I’m going to finish with one more comment because Jonathan’s an engineer, Dany’s a molecular biologist, I’m a physician and Doris, Doris is everything (laughter) but none of us have the answers. 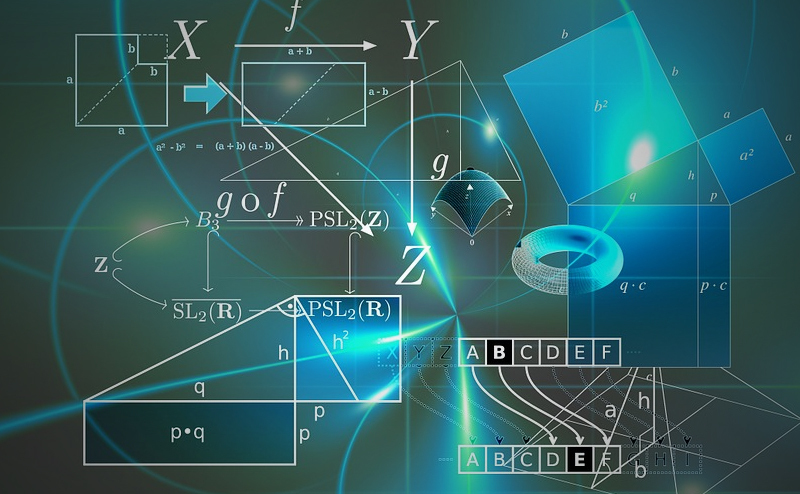 An interdisciplinary approach to these problems, of using the molecular biologist and the engineering and such is where the greatest advances are going to be made. You know one of our problems is that we’re so-our method of educating is ancient and it hasn’t changed much. But we are recognizing that interdisciplinary approaches to problems yield the biggest solutions. ADAMS: Before we get too far away from the genome and genetics is one reason we don’t study it is because there are lots of people studying it. They’re doing tremendous, wonderful work. And that’s not what we’re interested in. But that’s being done, really beautifully done in labs all over the world. But the other part of that is, it hasn’t worked yet. SENAY: Nobody’s taken that stem cell and turned it into a heart. ADAMS: Nobody has said these genes are the things that give you this shape. ADAMS: And in fact, there are these people now who work on these things called gene regulatory networks and these are genes that turn each other on and off and trying to figure it out. What is actually going on, who’s the messenger passing from to almost like a game of telephone. And you can have the gene regulatory networks. You can think of as a map and they have you know one map that has 50 different things in it, gives you a tube that’s a blood vessel. But if you have another tube that’s for something different, the gene regulatory network could be completely different. There’s nothing in there yet. We don’t know yet how to look at that and see where a shape actually comes from. And that’s because it doesn’t, we haven’t yet figured how to bring in geometry and forces and directing forces and resisting them and generating them. And it just simply hasn’t worked yet. TAYLOR: Don’t you think nature has developed a lot of different ways though to create the same things? TAYLOR: If you look at it, we have tubes in our blood vessels, we have tubes in our lungs, we have tubes in our kidneys, in our bladder. BADYLAK: We’re a little more than that. TAYLOR: So the body has created, there are a number of to create every single thing that exists so it’s not one gene one endpoint. And I think what we’re doing, at least my view of it is we’re bypassing a lot of that and we’re saying we’ve got the shape. We’re letting nature, we’re taking advantage of what nature’s already built with those cues already in it and letting that drive what we decide to do going forward. 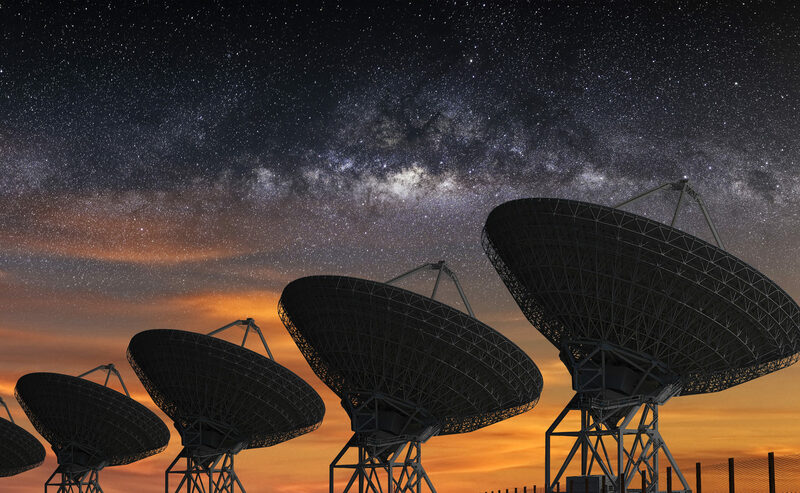 So we can spend the next 20 years figuring out all those networks or we can use what nature has built and go forward. SENAY: Stephen do you want to add to that? SENAY: But that’s an important point. That there’s a road map there for regeneration that could be understood better. TAYLOR: But you know, you can think about that even after we’re born, if you look at a two year old and they fall down and scrape their knee, it’s going to get red, inflammation is going to happen and that’s nature’s cue to send me more cells and they heal that. But they probably don’t have a scar for the rest of their life. Two year old gets a cold, it goes away in 3 days. They’ve got cells, they’ve got potent healthy cells that we don’t have. When you’re 52, 62 you fall down and scrape your knee, the cues aren’t the same. ADAMS: There’s a wonderful story about that actually that up to the age of 7 and depending on who tells you the story, it’s 5, sometimes it’s 10, that when you’re a kid, you can actually lose the tip of your finger. Generally the standard procedure is to take the skin and wrap it over to prevent infection. But if you don’t do that there, is a current, called the healing current and it’s just positive charges leaving the tip of the cell, tip of the finger and the finger will regenerate. And it will regenerate the skin and the bone and the muscle and the nail and we lose that ability somewhere 7, 10 something like that but what that tells us and the liver and all these things tells us that our cells do know how to do this. TAYLOR: Heart cells can do that for two weeks after birth. ADAMS: For 2 weeks. So all of our cells seem to know, it’s in there somewhere. And whether we need genetics to trigger it, if we can help them along. I know that some people now, correct me if I’m wrong, one of the treatments for losing a fingertip is to pack the wound with pig bladder to provide the scaffold. There’s learning how it’s done and learning how we might manipulate it to trigger it. Now whether that’s exactly how it was done when the embryo was developing and turning into a fetus or whether we do it by tricking it, turning on the wrong gene but it has the right effect, that’s where it turns into medicine, that’s when you go to translation and how do we- we don’t care how it was done we care how to make it happen again. SENAY: Let’s talk about what are some of the actual term and near term benefits of what we’re talking about tonight. Who, where do we see things, if not right now, very soon? Jonathan. [00:35:01] BUTCHER: Well I think the things that are right now are the kind of thing that you saw in the movie here, the kinds of things that Steve is doing with being able to augment the humans’ own capacity to heal, whether it’s regenerating the tip of your finger or healing a certain injury, better like a diabetic ulcer or something like that. I think in the more near term, we’re going to see and there are a lot of trials that are going on right now in this space for tissues that perform an important role, say an occupational role, but they’re not essential for life. Like for example, vertebral disk or a knee meniscus, or something like this. This is the are that I think will be the first place where we’ll start to see some of these tissue engineering strategies, bio-fabrication come into play. SENAY: Dany, what about? Right now, what do you see using your electrodes? ADAMS: Right now we see amazing possibilities. I think we’re still far from it but in some ways we may be able to skip more quickly that other types of therapies from making a frog do it to making a human do it. The reason for that is there are so many drugs that are already available. Some of them over the counter. That what these drugs target are these proteins that make electrical things happen. So if you’ve ever taken a proton pump inhibitor for you know stomach acid, the proton pump is a protein and it moves hydrogen ions which are from inside the cells to outside the cells. And that, you know just, when I was working with tadpole tail regenerations, we found that all you had to do to get the entire tail to regenerate was give it a message. And we did that in a number of different ways, but give it the message, pump protons and we got the entire tail. So we have drugs that you can take now that pump protons. Or they stop your proton pump from pumping, they’re inhibitors. I told the story about serotonin, having this tremendous effect via its effect on the electrical status of the cells. Well, Prozac can have the same kind of effect. We have all these drugs and their targets are these electrical signals. So in some ways it could be very rapid because we already have the medications, but we do have a long way to go in terms of understanding for any given organ that you lose. You have heart damage, we don’t know, oh well yeah if you take Prilosec your heart will grow back. We don’t know that yet. But we’re getting there. It won’t. So it’s possible that once we really decipher that language , and we can speak it, we can go in there and start fixing the grammar. And it would be potentially as easy as taking a pill. SENAY: Doris, I’ll get to you last (to BADYLAK) but your day to day is app…using these applications, is that correct? Tell us how you do that. BADYLAK: We’ve got between 8 & 10 million patients have been treated with AN extracellular matrix scaffold, but most of them are for rather ordinary, everyday things. And there’s good reason for that, like hernia repair. Instead of using a synthetic mesh made out of polypropylene you would make it out of extracellular matrix and these are used for that now. You know 20 years ago they didn’t exist, those sorts of scaffold materials didn’t exist. Same thing, it’s used for the lining of the brain to replace that. So there’s lots of those everyday things and the reason those things got to the clinic so quickly is because they are regulated as a device by the FDA. They were promoted in a non-regenerative medicine approach, rather than simply say, hey look we just got a different type of mesh material for you. So it gets out there and now we have all of these patients treated. One more thing cause it’s an aspect of it that isn’t scientific but you might not think of in terms of why you don’t see more clinical translations. When you have a regenerative medicine approach that is significantly different than the standard of care, and even though you’re absolutely convinced it works, you can point to all of these studies and you go and you have a patient that walks through the door and you want to use that, and you go ahead and use it, your colleagues are looking at you saying, what are you doing? Don’t you know, we’ve been taught how to treat these patients. Aren’t you…so you’ve got peer pressure to say don’t do it. And then you got how are you going to get it reimbursed? Because you’ve got a solution here but no way to pay for that right now and until you prove it 10 years later. And on top of that you’ve got lawyers standing out there waiting to sue you the first time anything goes wrong. So what are the incentives to do these? You’ve got your colleagues saying no, you’re not going to get paid for it, you’re at risk of getting sued and yet your patient said please. Really, that’s as big a barrier as a scientific barrier for translating regenerative medicine. [00:40:54] SENAY: And that’s the heartache of being an innovator, right? Being someone who is outside the box, not in the mainstream, which probably I think all of you, maybe Jonathan a little less than others, have faced a little ostracism. Is that fair to say? ALL: Oh yeah, oh yeah. Frankenstein. SENAY: Yes, of course, right. What about you Doris? And then we’ll talk about money because we promised we were going to discuss that. TAYLOR: The thing about regenerative medicine is it’s unlike any other treatment in that when you give it, you know, you give a drug, it’s going to wear off. You give a drug it may have an effect you know and one you don’t. Apparently proton pump inhibitors grow salamander tails inside you, I don’t want that. But the point is with regenerative medicine strategies, they’re forever. So when you give them, you have to know they work, you have to know that they’re going to hang around for the long term and be safe, and you have to know that they’re actually going to be flexible and change as the individual changes and faces other issues. So the burden is higher for these than for any other therapy that exists. At the same time, the potential is huge. 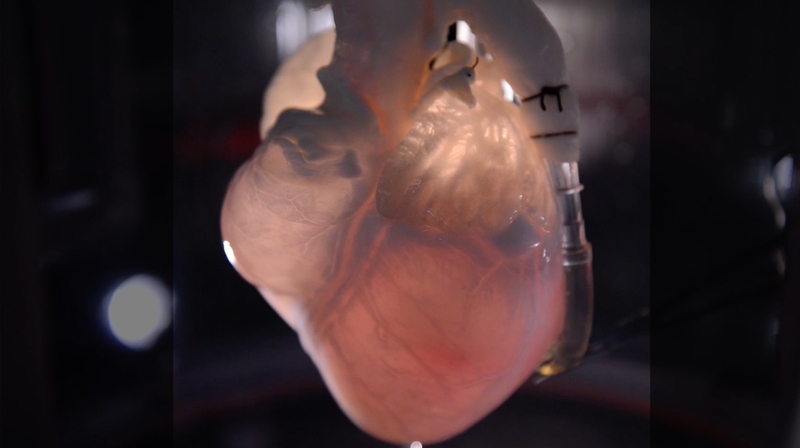 Right now, we may not be able to build a heart in a lab, but I predict within the next 2-3 years we’ll see a liver be built and transplanted into a patient. We will see, I guarantee you we’ll see a liver. Beyond that, pancreases are being built. TAYLOR: I was going to say, lungs are being built. We’re going to see these things happen. But even today we can build a cardiac patch, we can build new blood vessels, we can build a lot of tissues that are simple tubes. Those tubes we were talking about earlier. Bladder. New cosmetic ears. There are a number of strategies that already exist. And for, I would go so far as to say we’re not building organs and tissues, we’re building hope. We’re building the future and the potential for us to actually do what we’re talking about out here, forever young. We’re building the potential to keep people healthy longer and able to function at a level that they haven’t been able to before. BADYLAK: I think something thing to keep in mind too is people say well, what are we going to do if we can solve all of these problems and live to be 120. I don’t want to live to 120 and you don’t want to hear me talking about these same things for how many x number of years. TAYLOR: But you want to be healthy. BADYLAK: We’d all like to live to be 80-85 and functional. Have all of our faculties up until a couple days before we go, right? Then you’re gone. That’s fine. They can all go at once. Everything, not a single usable part left. But you’re healthy until a week ahead, so it’s quality not quantity. I don’t think we want to live forever. SENAY: So let’s just make a couple predictions here. It’s 2025. What’s out there? Body parts? Off the shelf heart valves? Tell me what the future is, Doris. What are we going to see? [00:44:54] TAYLOR: I think by 2025, if man is still alive, wasn’t that a song? I really think that we’re going to begin to see off the shelf organs and tissues for- we’re going to solve the organ transplant problem, at least the liver and kidney and lung transplant problem. I also believe that we’re going to change our endogenous repair processes so that the future is not ever getting to the point that you need that organ. We’re going to learn how to use these cells earlier, use stem cells that we all have in every organ and tissue and really maximize our endogenous capacity for repair to keep us from having to have long term chronic disease. And then I do think we will be printing. I think we will be, you know, put the 4 of us in a room and don’t let us out for 6 months and Steve and Dany will get those limbs built. ADAMS: I was going to say that as far as the bio-electrical control, 8 years is not a long time to figure it out but I think that the combination…once the electrical signals, we have a better sense of how they work, they will become a very important part of the bioreactor into which the personalized printed organs are going to go or the hearts, that that is going to be the first step of bringing that into it is bringing these things together. BUTCHER: Thinking about this culture that we’re talking about in 8 years I mean I would love it if we could see engineers becoming an integral part of the health care engine. So the way I see this though is sort of like what you were saying if we have the printer in the OR or you’re thinking about using clinical imaging to create data to inform surgical approach, should I go this way or this way. Instead of opening up the patient and saying well gosh but what should I do now? You actually have the information ahead of time, you may actually have a model of it or a hologram you can stare at. I mean we know about robotic surgery like that’s a big device. There’s a whole lot of ways to sort of democratize this approach where every hospital has the capacity to integrate with well-trained people that can help the doctor in their approach. Perhaps help them provide a better graft. I mean, so many of the medical revolutions that have happened that we know about in prosthetics industry, whatever, was doctors reaching for something around the OR because they got this thing going on with his patient. And that turned into a medical device. Well if you have an engineer that’s actually involved in that process, you could maybe have a lot more transformative components, but that also comes down to in that culture thinking about what Steve said, reimbursement. How does that piece get paid for? I think that this is a big component to thinking about the overall federal strategy of supporting research. When you try to translate this research maybe there’s a way of thinking about how citizens can get in on this new technology, but how do we share this risk? How do we share this knowledge space in a way that isn’t a pendulum swinging everybody getting the latest thing and everybody suing. There’s potential here to put more pieces on the table. TAYLOR: What we don’t talk about though, that is a dirty little secret in science is that we’re all taught that if we don’t bring in our own grants and our own money, then we’re not successful. That if I work with you and I help you bring in grants, that doesn’t count for me. 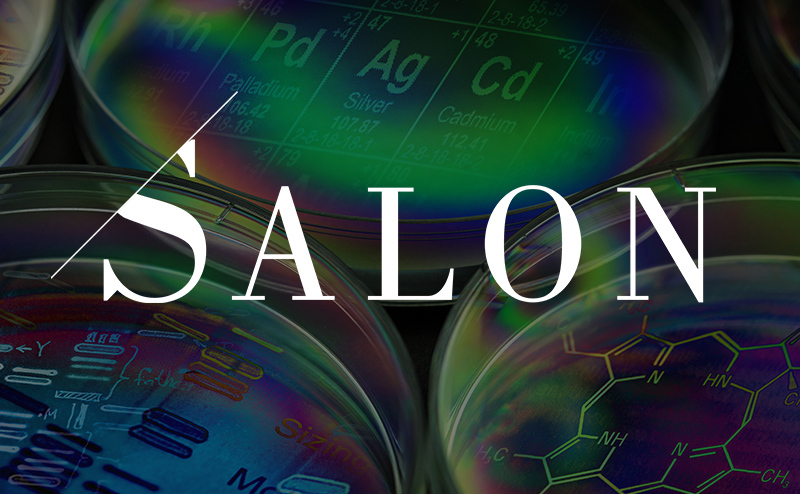 So part of what has to change is the recognition that science is a team sport. And institutions have to value that team mentality or it’s never going to happen. TAYLOR: Well, I mean science funding has gone down over the last 2 decades and about 5 years ago, it was at the lowest it had ever been in my lifetime. Building one heart, one human sized heart cost me about $200,000. And until we get it reproducible and simple, it’s going to keep costing $200,000. An average NIH grant is $250,000 a year. That’s one heart a year. That’s not going to get us there very fast. [00:50:05] SENAY: If there’s one thing that you could say or do what would it be to ensure that funding continues? ADAMS: Science isn’t technology. We don’t say I’m going to go in and discover that electrical signals can trigger regeneration. You go in and- so that movie, that electrical face movie took me 4 years. It was an accident. The microscope where I made the movie is a $250,000 microscope. I didn’t go in one day and say I’m going to make this movie. It’s not engineering. It’s not problem solving. 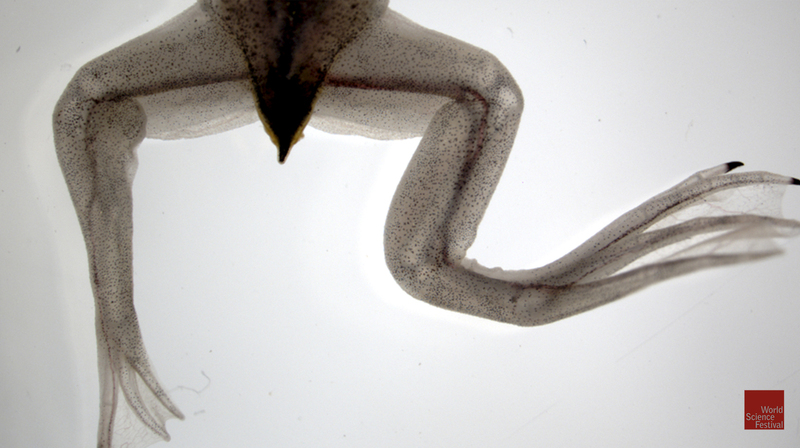 And you can put in a grant “on this date I will have the crucial insight.” But there are some private foundations now that are doing things in a different way and I want to give a shout out to Templeton which has just awarded a fellowship to one of Mike Levin’s post docs to continue this frog leg regeneration study. 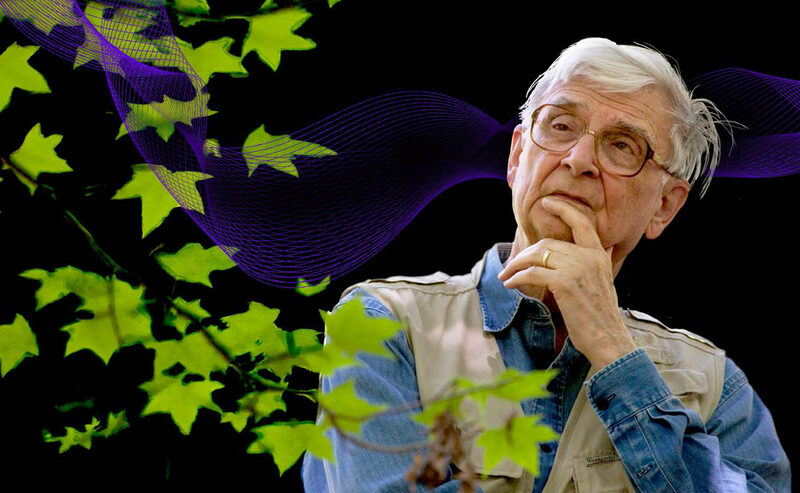 And to the Paul G. Allen Family Foundation which is trying a different approach, which is to pick out a person and in this case Mike Levin was one of those people and bet on their creativity and their productivity. And basically say, here is all of the money you need so you don’t need to spend 60-80% of your time writing grants instead of doing experiments. Take this and see what you can come up with. And I think that’s a very important and useful approach. SENAY: OK, we’re going to take few questions from the audience. Charlotte age 12 has I think a really great question. Could we improve upon nature making larger muscles or a stronger ACL and could you do this for an extinct species? BADYLAK: Oh man. I don’t think. BADYLAK: Yes, it was a good question. We get asked that a lot because of the work we’re doing with the muscles and stuff but I don’t think we can ever improve upon Mother Nature. We don’t even understand Mother Nature. But what we can do is hopefully harness all of the some of the signals that she’s got to take advantage of what Mother Nature does so well. So, to make a super human, no I don’t think we want to do that first of all but I don’t think we can do it. Like in the example with the salamander. Why does it stop growing when it gets to here, you know, every time. When we would actually try some of these experiments where we would we knew we could grow new muscle, let’s do it again let’s do more. Temporarily it will grow more but then when the body doesn’t need it, it just regresses back to normal. The body, it’s just so smart. It just makes me realize how little we understand about it. I wrote a perspective piece a couple of months ago called “Too Much Technology, Not Enough Biology.” So the technology and the printing and such is fantastic but if we don’t know what we want to print, we can’t do it. That was why my no came out so quickly. But that was a great question. TAYLOR: But the extinct specie piece, we can actually take DNA and we can actually begin to create tissues from extinct species. I’m not sure you know, it’s like we said earlier everything has one effect you know and one you don’t. I’m not sure we want to yet, but we could. ADAMS: If I could build on that. The idea that there is an optimal muscle is I think over simplifying. So one of the things that evolution does, evolution has to balance competing needs. So and for reasons we don’t know yet, it may be that if a muscle gets too big, your toes fall off. But there’s a trade off that we don’t know about. And if we try, if we pick out something that we happen to like and say, oh I’m going to optimize that, you simply don’t know what you’re hurting at the same time. TAYLOR: The same muscle that you use to build a fly wing that can do something phenomenal would not work in a human. SENAY: Well, that leads great into the next question from Erica the red head. She writes: Do you think regeneration can be used to replace or fix damaged cells in cases like cancer or in autoimmune disorders? TAYLOR: Absolutely. The one thing that stem cells do better than anything is reduce inflammation. Absolutely, no question. TAYLOR: So what’s a cancer cell? What’s a cancer cell? A cancer cell is a cell that can become a lot of different things and also that reproduces. What’s a stem cell? It’s a cell that reproduces and can become a lot of different things. The difference is a cancer cell doesn’t know when to stop and some of us believe that some tumors are actually stem cells gone bad. So I think really understanding that interaction is critical. None of us want to build that muscle that is now a tumor. [00:55:45] SENAY: Has anyone sen tumorous or cancerous, unchecked growth in the lab? ALL: Oh sure. Yes. Oh sure. TAYLOR: How do you tell a cell is a true stem cell? 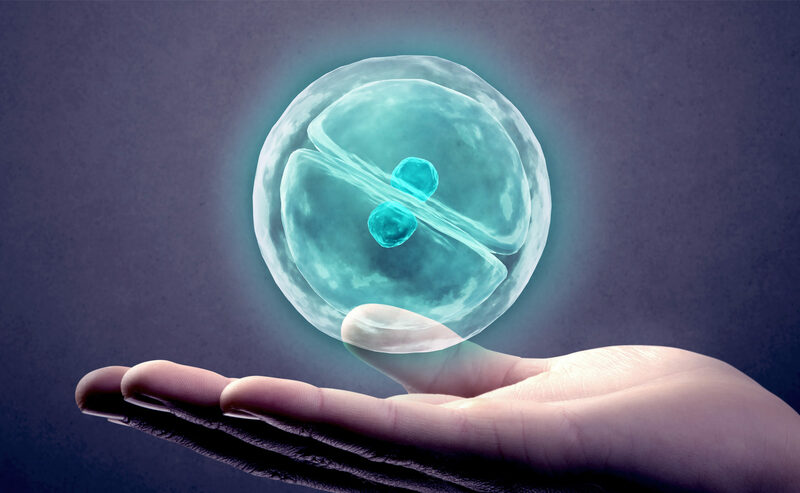 Truly pluripotent can become anything stem cell? You transplant it and watch it make a tumor. It’s not a cancerous tumor, but it’s a tumor. It’s a teratoma. ADAMS: Teratomas are actually, they’re a perfect illustration of this issue of shape being so important. So teratomas, for those of you who don’t know, they are tumors that form often from the cells that make eggs for example and they, the cells start to become different tissues. But they don’t know how to get into the right shape. So what you end with is like a blob of tissue that’s growing hair and some of its cells are producing stomach acid. They’re truly horrifying, they have teeth sometimes. The cells are following the right path to become a tissue and it’s called differentiation, that’s the big word for it, but they are differentiating into different cell types just as their genes are telling them to do. But they have completely lost any information about what shape they’re supposed to be. And so it’s a blob of tissue, cell types. So but I want to go back for a second because cancer, regeneration, development these are all, we look at all of these things from this perspective. Can the electrical, can looking at the electrical signals teach us something that we haven’t learned by looking at the chemical signals controlled by the genes. And one of the amazing, another amazing things about electricity is that we can generate tumors genetically. So we can inject a tumor causing, a cancer causing mutant gene and at the same time inject the gene for a protein that will allow potassium ions in. Sorry, that will allow the potassium ions out. And what happens is the tumor doesn’t form. So the potassium current changes the electrical status of the cell and that tumor causing gene can’t form a tumor. The other thing you can do is you can put in a gene, there’s this amazing thing called optogenetics, I’m not going to go into that right now into detail, but basically these are proteins that you turn them on and off by shining light on them. And if you make one of these tumors by injecting this gene and you also inject the gene for one of these light activated channels, you can wait until the tumor forms and then you turn on the light and the tumor goes away. And this in frogs, this works better that most of our cancer drugs. 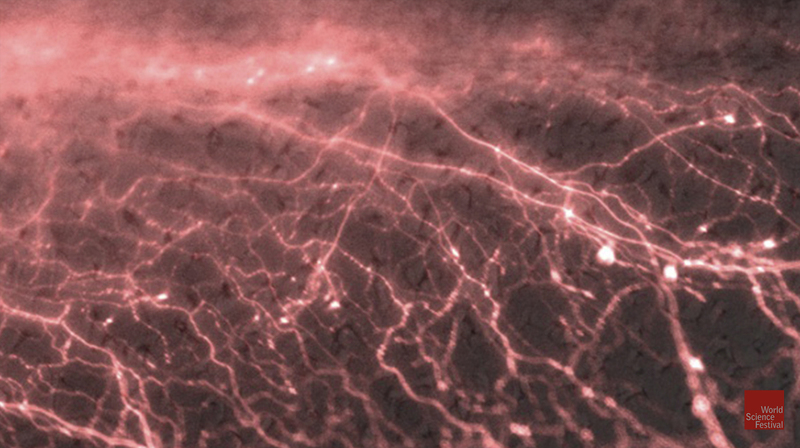 So again, this connection between the electrical signals, the way the cells are talking to each other in this context of generating a shape, controlling a shape, making a structure. Again, I think, it’s just really powerful. Go home and thank you’re electrical signals. BUTCHER: I think, I think she brings up a good point though, also with another opportunity with engineering and that is to create models of patients’ actual tumors for example and instead of testing the drugs effectiveness on the patient, why don’t we do it on these tumors that are the patient’s’ tumor. BUTCHER: Yeah, no I agree but like one of the new strategies that is gaining traction a lot of different tumors is to actually differentiate it. So instead of having this cancerous tumor, turn it into a pile of bone. Well if I a have a pile of bone sitting somewhere that’s a lot better than a tumor because now it’s just sitting there as a chunk of bone. But you could test that out in a set of engineered tumors so you wouldn’t have to worry about trying it out on a patient. [01:00:09] SENAY: Alright, I’ve got 2 more questions. I have, everybody wants to know when is this heart going to happen? TAYLOR: Give me 5 years. SENAY: OK. You got 5 years. And finally, you get to pick one, which Marvel hero is more likely to be realized by research: Wolverine, who’s healing, or Deadpool, regeneration? What do you pick Jonathan? BUTCHER: I’m going to go with Wolverine. ADAMS: Oh, I’m not that kind of nerd. (laughter) Wolverine. SENAY: Alright! Thank you all for coming. Thank you for our amazing scientists. It was an incredible conversation. 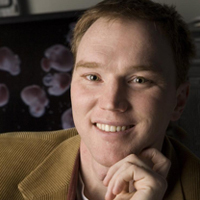 Jonathan Butcher is Associate Professor and Associate Director of the Nancy E. and Peter C. Meinig School of Biomedical Engineering at Cornell University. His research focuses on understanding how tissue assembly and maturation during embryonic development are controlled by mechanical signaling. 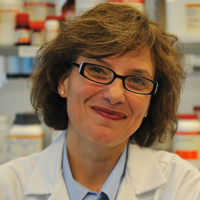 Doris A. Taylor, Ph.D., FACC, FAHA is the Director, Regenerative Medicine Research, and Director, Center for Cell and Organ Biotechnology at the Texas Heart Institute in Houston. Dr. Stephen Badylak, DVM, PhD, MD is a Professor in the Department of Surgery and deputy director of the McGowan Institute for Regenerative Medicine at the University of Pittsburgh. What is being worked on in the field of human regeneration? How do you make a heart? What are the near term benefits of human regeneration?